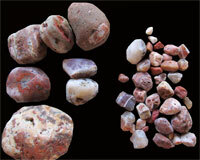 Since spring has sprung in Grand Marais, rockhounds have been out to hit the beach. 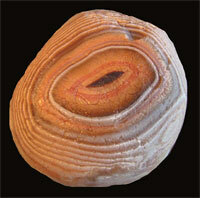 Since I have not had time to do a web page in a while, I'll include several agates for you rockhounds to drool over. 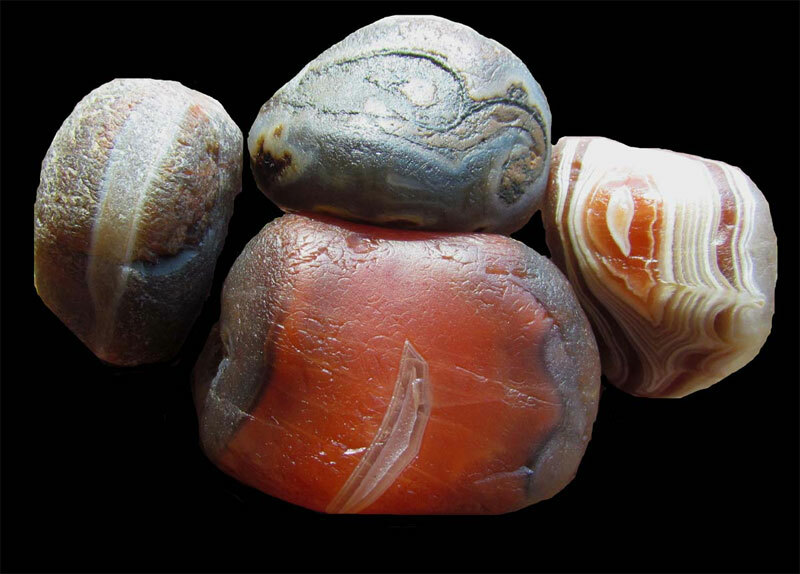 First I'll start by featuring the agates found by my friend, Dan Kinney, who lives in the Soo. 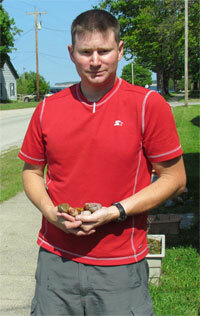 He backpacked from the mouth of the Two Hearted River west to Deer Park. 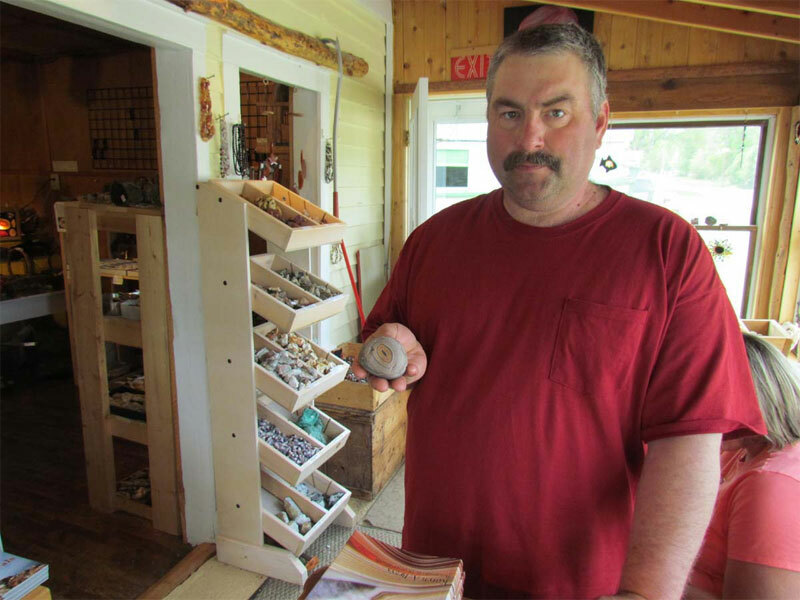 He had intended on getting all the way to Grand Marais, but the weather turned cold and rainy and was not conducive to agate hunting. 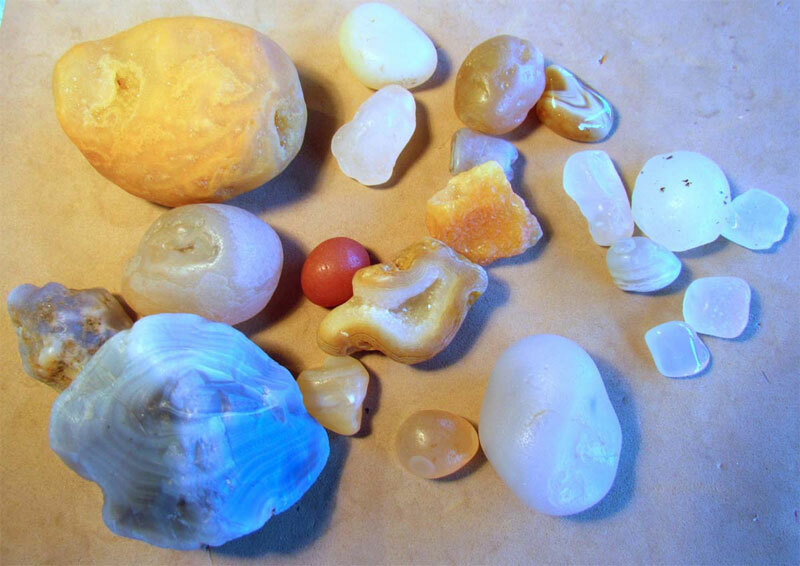 He didn't find any huge agates this time, unlike most of his agate hunting adventures, but he found some wowsers. 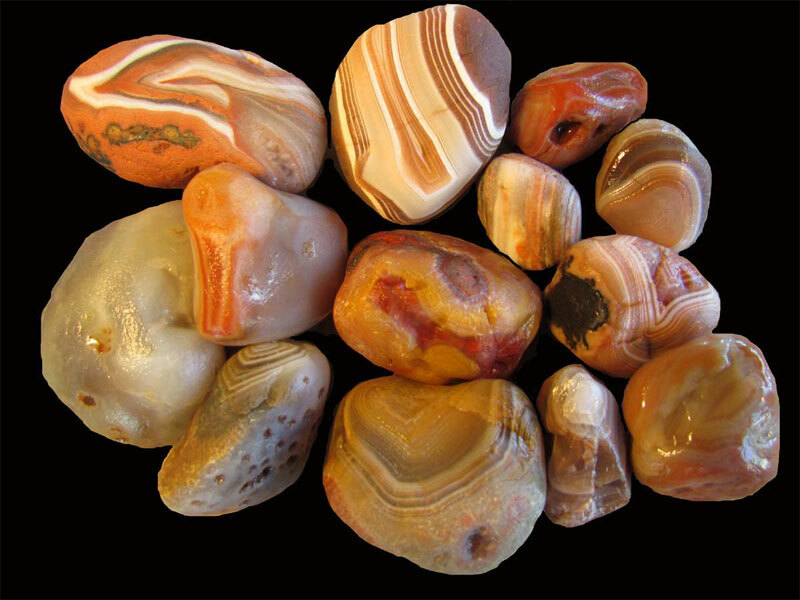 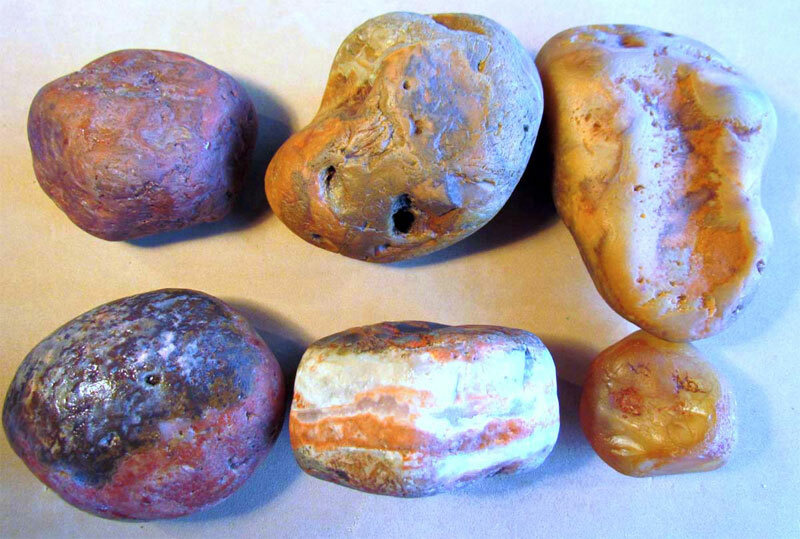 Here are a couple of group shots of his agates, as well as a close up of my favorite – a nice candy striper. Herb and Wendy Confer from Owosso, MI visited the museum in late May to show me some of their finds. They also gifted my assistant, Candace, and me with a bottle of pure maple syrup. 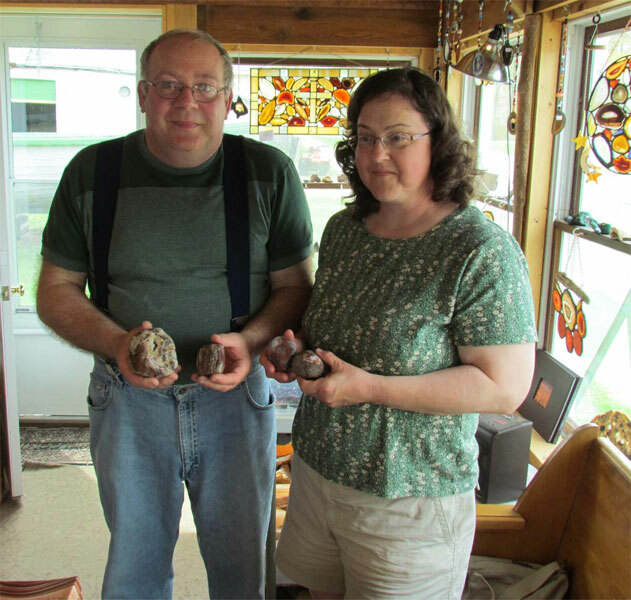 I'm sure Candace and her husband appreciated it as much as I did! 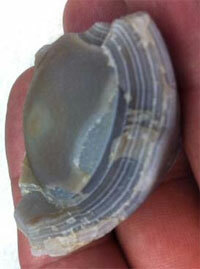 They found over 40 agates, including one with an amethyst center fill.